When it comes to movers in Atlanta who you can trust, count on the professionals at Bulldog Movers. 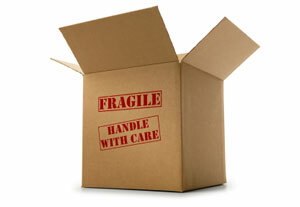 We provide exemplary moving and relocation services at fair, competitive prices. We are one of the Metro area’s largest and most trusted moving companies, with nearly 20 bright red moving trucks on the road and over 100 full-time, professional movers on staff. Part of what makes us such a trusted name in the moving business, though, is that we always offer reliable quotes and explain all possible charges up front, including insurance costs. A given of $300 – The state of Georgia provides its residents with $300 of base insurance coverage for property damage during moves. Replacement Value Protection – This is defined as full coverage of your items and does not have a deductible. This coverage is available for an additional charge. Depreciated Value Protection – This takes into consideration the depreciated value of your items and has a $300 deductible. This coverage is available at an additional charge. Interstate moving coverage – When you use Bulldog Movers to relocate away from Atlanta to a different state you still have the basic liability coverage of $300, but can only purchase Depreciated Value Protection and not Replacement Value Protection at an additional charge. No matter which insurance option you choose, you can count on superior service at an affordable rate from the company that has won the Consumers’ Choice Award for the past nine years. To find out more moving tips and additional information about the movers who have served the Atlanta area since 1982, please call or e-mail Bulldog today.